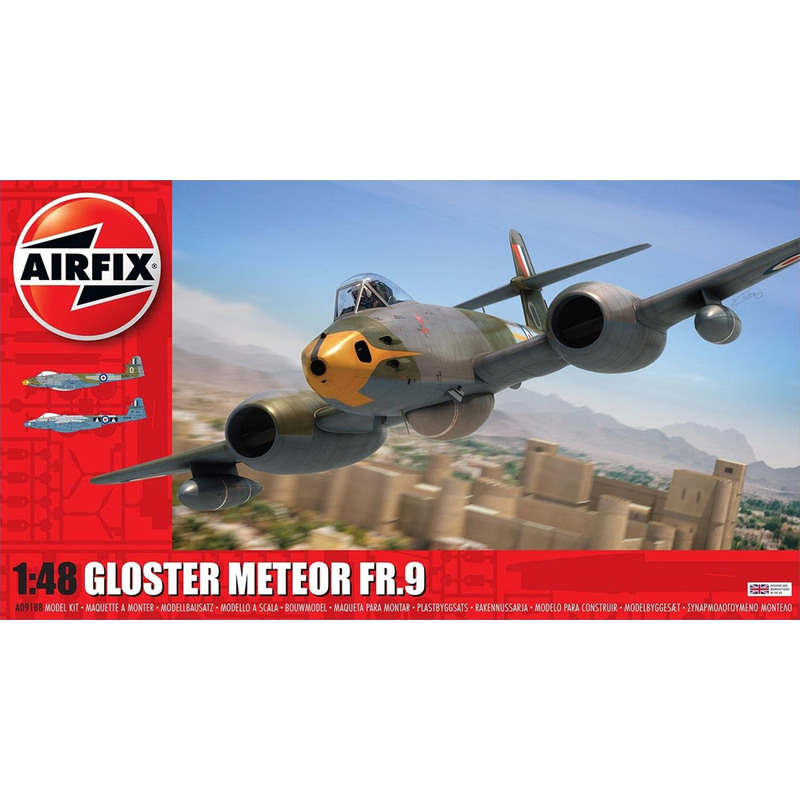 As the armed reconnaissance version of Britainâ€™s first operational jet fighter, the Gloster Meteor FR.9 was based on the F.8 fighter version of the aircraft and replaced Spitfires and Mosquitos in this role. The extended nose housed a Williamson F.24 camera, which could be positioned to fire either forward, port of starboard facing. Its range was extended significantly by the addition of external wing and ventral fuel tanks.